Donald Trump clearly lost the popular vote and will only inhabit the White House because of the anachronistic and undemocratic institution of the Electoral College, once specifically designed to foil populists like him. Contrary to claims that he somehow ‘hijacked’ the Republican Party, I argue that he simply used the traditional Republican playbook to the extreme - dividing the population along racial, ethnic, and religious lines as well as exploiting anti-elite sentiment – to sell economic and social policies that will hurt the majority of Americans. This got him support from right-wing extremists in the Alt-Right movement as well as the white working class – Americans without a college education – and surprisingly also from white working class women, given that he tried very hard to offend all women. This latter group of voters, previously either non-voting or marginally part of the Democratic coalition, was the key group for Trump’s success in the old industrial heartlands now called the rust-belt states. It is necessary to ask why this group supported him. Internationally, the current wave of right-wing populism can be read as a revolt of those who consider themselves losers to, or threatened by, socially unregulated globalisation (trade, capital flows, offshoring, and immigration) or cultural modernisation (feminism, political correctness, and ethnic, cultural and sexual diversity). These voters revolt against political elites who have for decades succumbed to a neoliberal consensus of non-regulation (perpetuated by ‘experts’ who failed to anticipate the ensuing economic crises), and who have shown only condescension towards those uncomfortable with these processes. There is simultaneously a left-wing revolt against the economic elites benefitting from the status quo. Both revolts and the hateful and sometimes violent ‘othering’ of, for example, ethnic minorities are here to stay for the foreseeable future, and likely to get worse, because there are currently no political majorities for social regulation of the global economy. Many voters instead favour a re-nationalisation of policy, sometimes ethnically defined. In the US, the Democrats are associated with the political elite much more than the Republicans, because the latter adopted a strong anti-elitism since the Gingrich revolution of the 1990s. As a result, first the Tea Party and then Donald Trump were able to topple Republican establishment candidates. Hillary Clinton specifically embodies the out-of-touch elite in Washington DC, and she made matters worse by speaking condescendingly of the ‘deplorables’. From the perspective of the white working class, the differences amongst Clinton, Trump and Bernie Sanders are exemplified by their stands on trade policy and offshoring. Clinton, as part of the Obama administration and of the Wall Street-friendly wing of the Democrats, was strongly for free trade until Sanders’ challenge in the primaries forced her to abandon this position. Nobody missed the opportunism. Both Sanders and Trump, in contrast, could credibly claim positions skeptical of free trade and offshoring – the former because of his voting record, the latter because of his outsider status. While Trump had benefitted from neoliberal policies, he freely admitted this as part of what he had to do as a businessman. Bernie Sanders embodies the left-wing variant of the popular revolt against the neoliberal consensus. His economic populism worked without attacks on ethnic minorities and a corrupt political class, focusing instead on the super-rich and (big) business that have profited for decades from policies of non-regulation and low taxation. The social democratic left in the Democratic Party around Senator Elizabeth Warren decries Sanders’ failed bid for the nomination, arguing that he would not have fallen into the trap of claiming the moral high ground vis-à-vis Trump, which – in the eyes of the losers of globalisation and modernisation – must have sounded a lot like the condescension they are used to from the likes of Barack Obama and Hillary Clinton. Sanders, they argue, would have won with a focus on social justice, a stance which was simply not credible for Clinton. But hindsight is 20-20. When Sanders now offers cooperation to Trump in case the President-elect actually follows through with policies to support the working class, he perhaps shows his non-partisan concern for the betterment of people’s lives, but he also underestimates the level of racism and nativism amongst these Trump voters. And he misreads the Democratic Party, whose economic, trade and social policies are not far removed from the Republican mainstream. Since the 1960s, the Democrats’ post-defeat analyses have usually concluded that the country is too conservative for social democratic policies, and the party then either nominated Southern conservatives such as Jimmy Carter and Bill Clinton, or bet on changing demographics with Barack Obama. The Democratic coalition has been glued together by a hodge-podge of identity policies – something for the Afro-Americans, something for the Latinos, something for the LBGTQ community, and so on - but rests on the remainder of the coalition around the New Deal (which between the 1930s and 1960s made possible the rudimentary U.S. welfare state), specifically unionised workers. This is the base that Trump, like Reagan before him, was able to crack. One reason is that the Democrats, rather than on mobilising this base, have counted on demographic change to turn the US into a society where the sum of minorities is larger than the number of white Americans, making the Republicans a minority party. It was no surprise that Obama invested what little political capital he had in a health care reform which was essentially a Republican policy, once devised to derail Clinton’s reform, instead of changing the balance between capital and labour with a labour law reform facilitating union organising. Stronger unions, as advocates of globalisation’s losers, would have demanded a clearer break from neoliberal dogma – against the interest of the neoliberal establishment in the Democratic Party. Now, the Democrats have to decide which way to turn. Trade policy, for example, confronts them with a dilemma. Should they embrace simple protectionism? Or rather strengthen their stand regarding social and environmental regulation of the global economy? Since the early 1970s, U.S. unions have been much more protectionist than most of their counterparts in the industrialised world. Now it seems that they will get from Trump what the Democrats and the Republican establishments have always refused them: the end of free trade. Should they rejoice? The size of manufacturing workers’ unions is declining steadily and for many U.S. unions, trade policy is not particularly important anymore. But an economic crisis caused by protectionism, isolationism, and beggar-thy-neighbour policies would hit everybody. Perhaps President Trump will be able to shock U.S. trading partners and businesses to invest more in manufacturing jobs in the U.S., or to incentivise them with taxpayers’ money. What is clear is that unions, their members and the majority of U.S. workers and their families will suffer from most of Trump’s economic and social policies, which will follow the traditional Republican dogma of small government and low taxes. At this point, it looks as though the neoliberal consensus has been broken by the Republican Party rather than by the Democrats. Trump is orchestrating the backlash against free trade: perhaps he will not just derail TPP (the Trans Pacific Partnership) and TTIP (the Transatlantic Trade and Investment Partnership) but also re-negotiate existing trade agreements such as NAFTA (the North American Free Trade Agreement). Perhaps he will even implement infrastructure projects to create jobs. And perhaps he will respect the ‘pragmatic liberalism’ of Americans and leave existing social programs intact (even though House speaker Paul Ryan has different ideas). However the expectations of globalisation’s losers are largely contradictory to the Republican mainstream’s, and especially to the preferences of the Party’s business wing. This will put the Republican coalition under immense pressure, and might open opportunities for a largely unchanged Democratic party acting as a loyal opposition committed to the status quo. Picking up Republican moderates and internationally oriented business may allow the Democrats to stay the neoliberal course. The international context of a wave of right-wing populism will surely further complicate matters. Policies of social and ecological regulation of globalisation and global justice remain of utmost importance, but the real political battleground has shifted towards a defense of liberal democracy and plural society. In North America and Europe, struggles to keep populists and post-factual politics at bay will mostly be national. Unions might find themselves ambivalent to right-wing populist governments which appear to meet some of their demands. As mentioned above, U.S. industrial unions might welcome parts of Trump’s foreign economic policy. In Europe, the authoritarian governments of Poland and Hungary and the National Front’s campaign in France have been catering to people’s and unions’ desire for social safety. Defense against authoritarian and anti-pluralist forces is made difficult by beggar-thy-neighbour policies such as the British threat to lower corporate taxes after a hard Brexit, and by the opportunism of conservative political and economic elites. Internationally, the best that may be possible at this point might be international agreements, formal or informal, that promise not to competitively lower corporate taxes and labour and other standards. 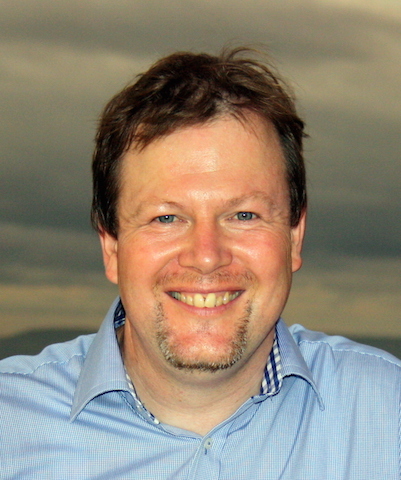 Thomas Greven is an educator, writer, and labour union consultant. He teaches at the John F. Kennedy Institute for North American Studies at FU Berlin, and currently lives in Berlin and Dakar, Senegal.